The San Francisco Bay Area Curling Club (SFBACC) was founded March 13, 1958 in Mountain View. In the club's early years, it had a dedicated curling facility. For the past 20+ years, the club has curled on arena ice. The SFBACC was a charter member of the California/Oregon Association, which has now expanded to become the Mountain Pacific Curling Association (MoPac) and includes clubs from Oregon, Utah, Idaho, and Arizona. 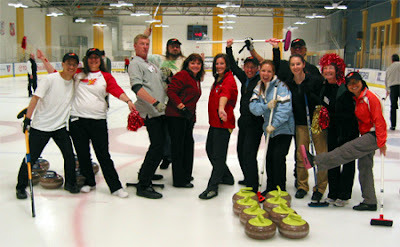 The club has been curling in San Jose since 1994. Until the 2006 Torino Olympics, the club rented ice for short seasons - sometimes only 6 times per year. After the 2006 Olympics, the club grew rapidly, and partnered with Sharks Ice to provide classes and leagues in both San Jose and Fremont. The club incorporated in December, 2007, and became a nonprofit 501(c)(3) in May, 2008. In the summer of 2009, the club expanded to the Oakland Ice Center, another Sharks Ice facility.